It’s a ROM invasion of Cleveland! 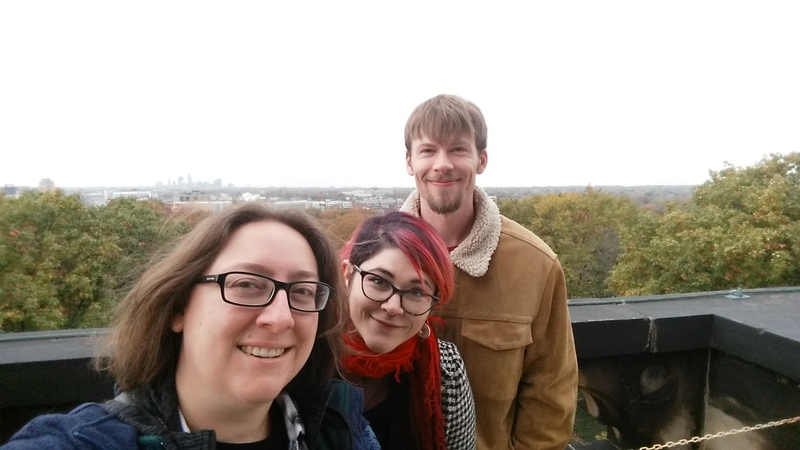 Cary Woodruff, Danielle Dufault and I ventured over to the Cleveland Museum of Natural History a few weeks ago to talk dinosaurs at Dinofest, a one-day celebration of all things dinosaur! I’d last been to the CMNH for the SVP meeting there in 2008. It was wonderful to get a chance to wander through the galleries, see some amazing placoderm and shark fossils behind the scenes, and meet so many enthusiastic dino fans during the day! 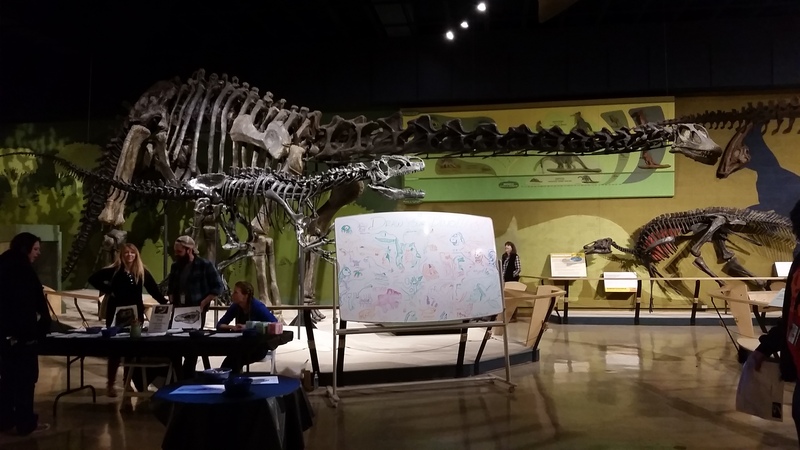 I got to talk about Zuul, Cary talked about the CMNH’s signature sauropod Haplocanthosaurus (pictured above), and Danielle ran amazing palaeoart workshops where everyone whipped up their own whimsicle ceratopsians! 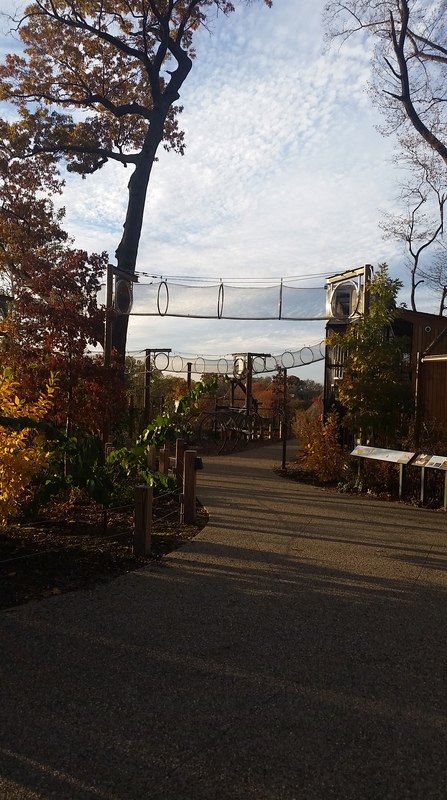 The museum recently opened an extremely cool expansion, an outdoor wildlife park that’s very cleverly laid out to maximize space for the animals. We got to meet lots of local wildlife (all non-releasable rescues), and I particularly liked the above-ground tunnels for the raccoons to explore. 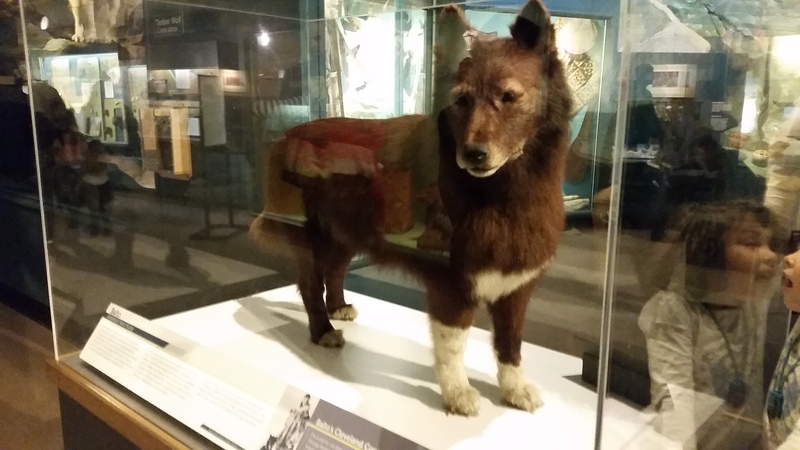 The CMNH is also home to Balto, who looks quite different from his animated counterpart! 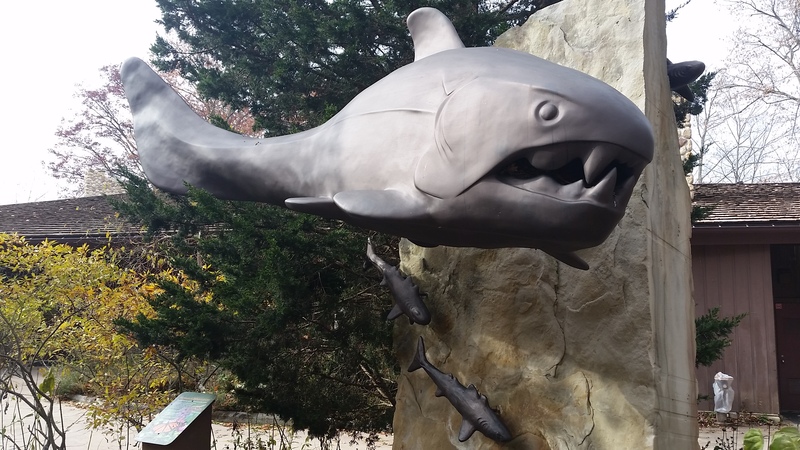 After Dinofest was over our good friends Michael Ryan, Amanda McGee, Lee Hall and Ashley Hall gave us the grand tour of Cleveland’s most fun sites for fossil nerds, including the Rocky River Nature Center, home of Dunkleosteus! 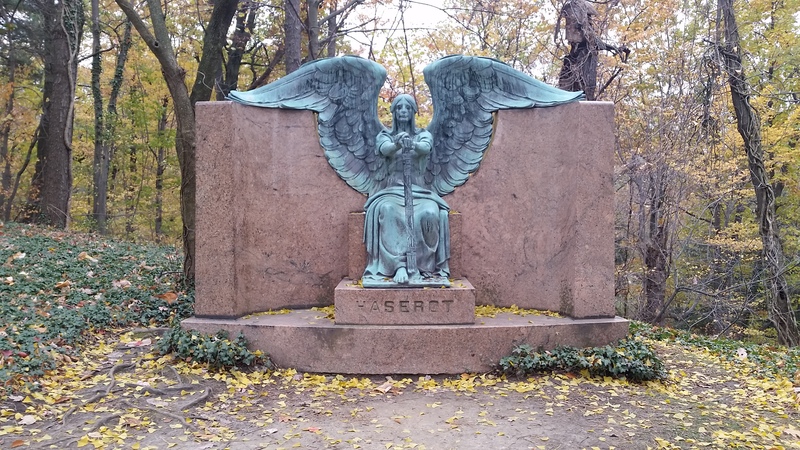 We also checked out an absolutely stunning graveyard, the Lake View Cemetary, which include’s a president’s tomb, amazing above-ground tombs that are like little cottages, and incredible statues like the Angel of Death Victorious. The beautiful fall colours and grey skies were perfect for a stroll around the cemetary. Many thanks to Michael Ryan for inviting us down to the museum for Dinofest – it was a great time and I hope I’ll be back to visit again soon!